Robert R. Duda Jr. is a partner at Smith O'Callaghan & White, a boutique labor and employment law firm in downtown Chicago. Bob represents employers in federal and state courts in employment-related litigation. 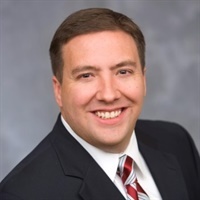 He has been selected by his peers and recognized as a Rising Star in Labor and Employment Law by Illinois Super Lawyers from 2011-14. Bob has extensive experience handling complex departing employee litigation, including misappropriation of trade secrets, breach of employment contracts, breach of fiduciary duty, enforcement of non-compete and non-solicitation agreements, interference with customer relationships, employment-related torts and misconduct, workplace defamation, and unfair competition. He frequently counsels employers to protect their interests through the use and enforcement of restrictive covenants and by responding to employee raiding and pirating attempts.